This free printable includes a math mat featuring a plate, and a set of green egg counters and yellow egg counters. It can be used as an activity or learning center to go along with reading Green Eggs and Ham by Dr. Seuss. A black & white version is also available. Includes header card with question, “What is your favorite Dr. Seuss book?” and answer cards for several Dr. Seuss books. Includes header card with question, “Do you like green eggs and ham?”, Yes/No answer cards and blank answer cards. Striped Hat Pattern. Printable hat shape with stripes. Wear it by attaching to a sentence strip, or use for shape book, listing words, etc. “at” Word Family Hat. Use this printable hat to list _at words. Blank printable hat pattern. Decorate it with a unique style, draw in the stripes, use it as a shape book cover, etc. Small Hat Patterns. These hats are striped and blank; sized 2 per page. Smaller Hat Patterns. These hats are striped and blank; sized 4 per page. 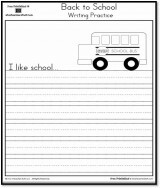 abcteach’s printables: acrostic form: hats, book report form, shape books, and word searches. Green Eggs & Ham and Cat in the Hat Dr. Seuss printables: bulletin board border, hat, bow tie, Do you like green eggs & ham? More than 100 pages searchable by activity or book. Find out what Marco really saw on Mulberry Street.